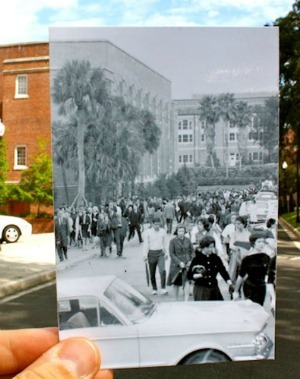 We’ve all taken trips down memory lane, but rarely does that involve an actual lane and memories of other people like the University of Florida’s UF, Then & Now project. The concept involves using photographs of people taken from throughout the last 100 years, by lining them up with the place they were taken and then taking another image to capture the changes between the time periods. 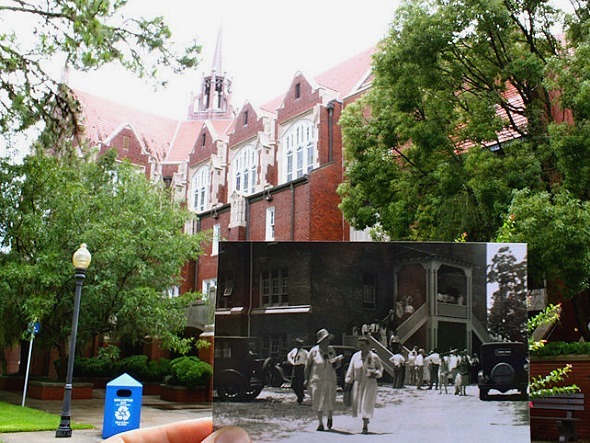 In the end, the images are not only a great way to document all the ways the school has changed in the last century, but also to thank the students, faculty and administrators who allowed it to grow. For many of the people pictured, it might also be the only way they can visit their Alma Mater during Homecoming season one last time. 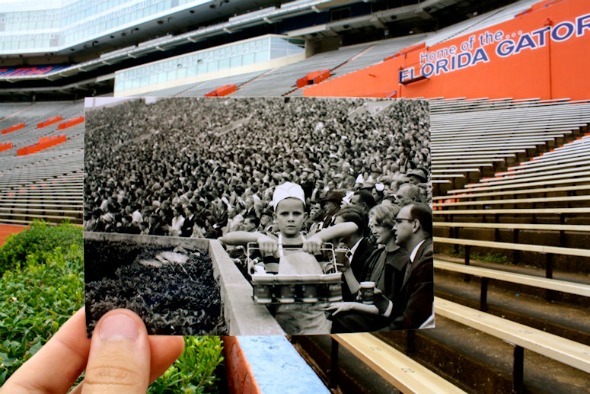 While the project is of particular interest to those with ties to UF, I think we can all appreciate the artistic merits of the photos…even if they aren’t technically illusions. 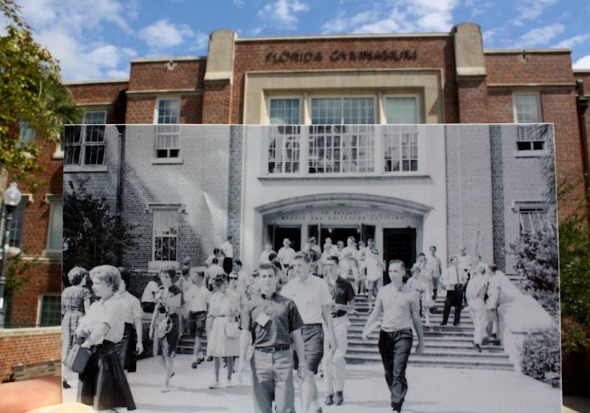 For more pictures and information on how the school has changed over the years, be sure to visit the homepage of the UF, Then & Now project. 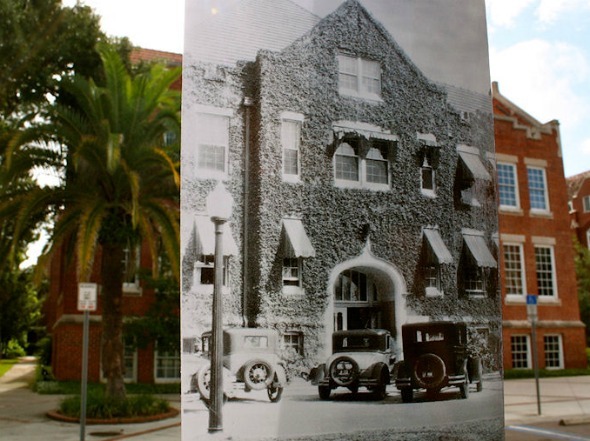 Have any of you ever tried to make your own then & now photographic projects? I’ve always wanted to, but have never had the time to set up the shots just right. I agree this is not a “traditional” illusion, but I love these images. They are provide the illusion of a 4-th dimension: time. Keep up the great work, MOI! I think it’s great and it is kind of an illusion. The one the other day with the guy who paints himself was basically the same thing as this. It’s just a daily thing. If you don’t like it…just wait until tomorrow. It will be ok.
My folks would have loved this. Have you seen the story of the hidden devil face in the Bailica fresco. Hey Mark, can you provide a link? These remind me of the current Chevy commercials. Wow, that’s amazing! My wife collects old photos, I might have to go out and find where they are taken and do a few of these myself! I saw a story something like this on Yahoo a while ago. I think it was a blog. 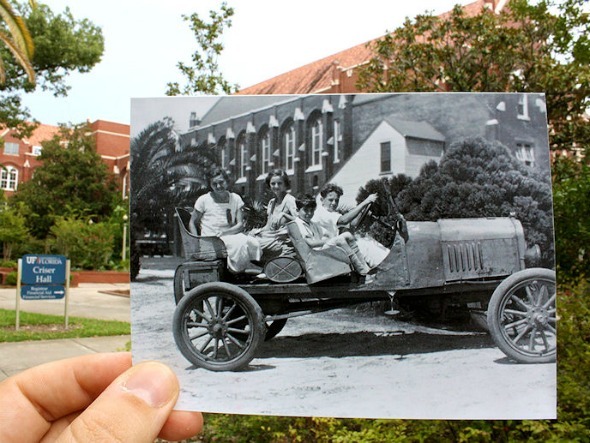 People going back to the places where their old pictures were taken and doing this. Great Job although I think you could do better. It is pretty cool how they’re in the right spot and everything!! Well done!! I think these are very well done, but I really don’t think they are ‘illusions’ as such. Still, it would’ve been really hard and time consuming to get just the right angle and everything. I always love seeing these even if they aren’t an illusion in the traditional sense. Super imposing a photograph on picture, is not an optical illusion. It is gimmic photography. I love these! 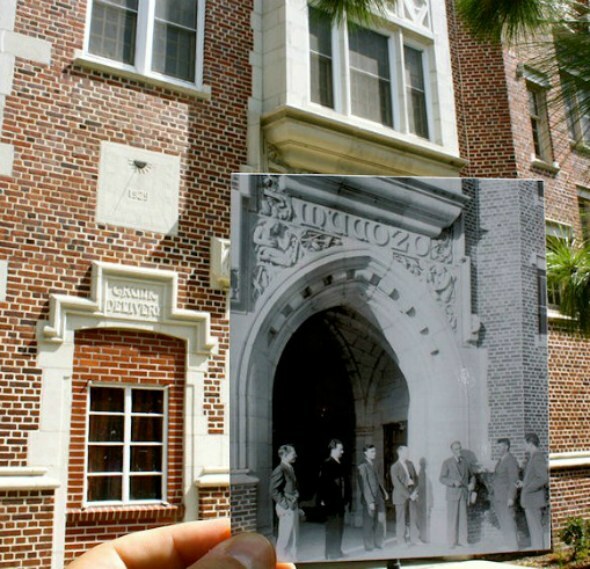 Then-and-now photos are always cool if they’re set up right. Also, I think their illusions if your mind sort of fuses together the Then and the Now. They are pretty cool.. and would be hard to line up… even shows in the third picture where the top doesn’t match… the original was probably taken by someone shorter. Would be cool to have some people, or current vehicles a part of the new photo as well so it could be compared. this site is getting worse and worse …. where is the illusion ?